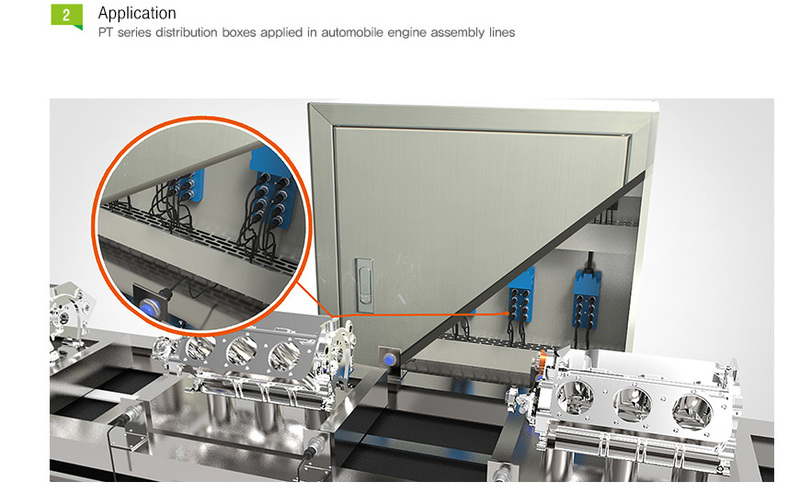 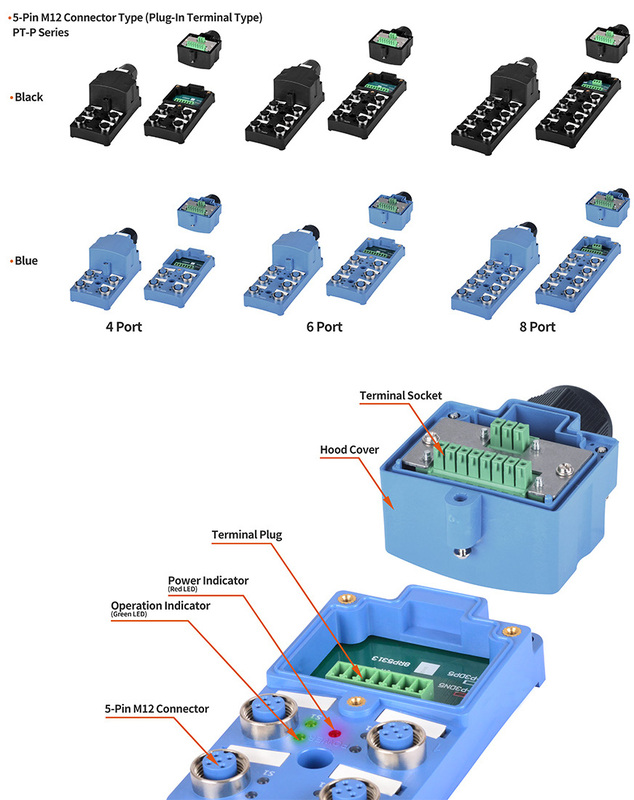 The PT series sensor distribution boxes are available in 5-pin and 4-pin M12 connector types and provide flexibility for installing multiple sensors in various applications. 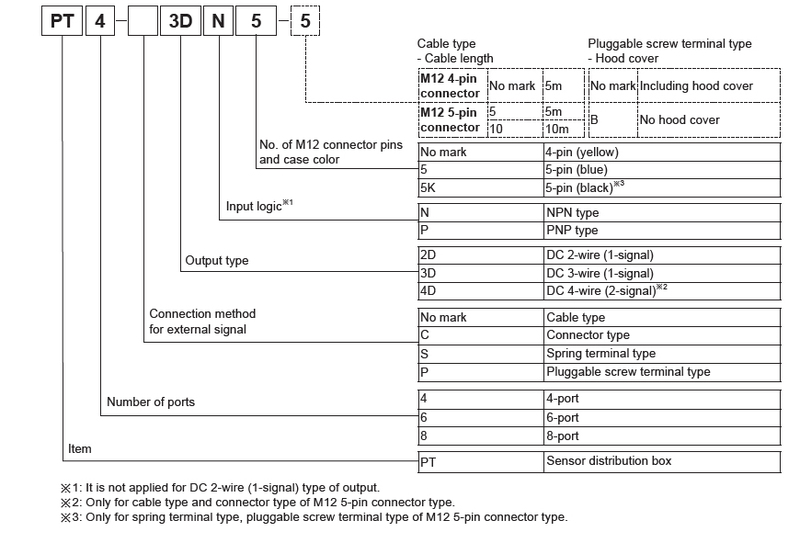 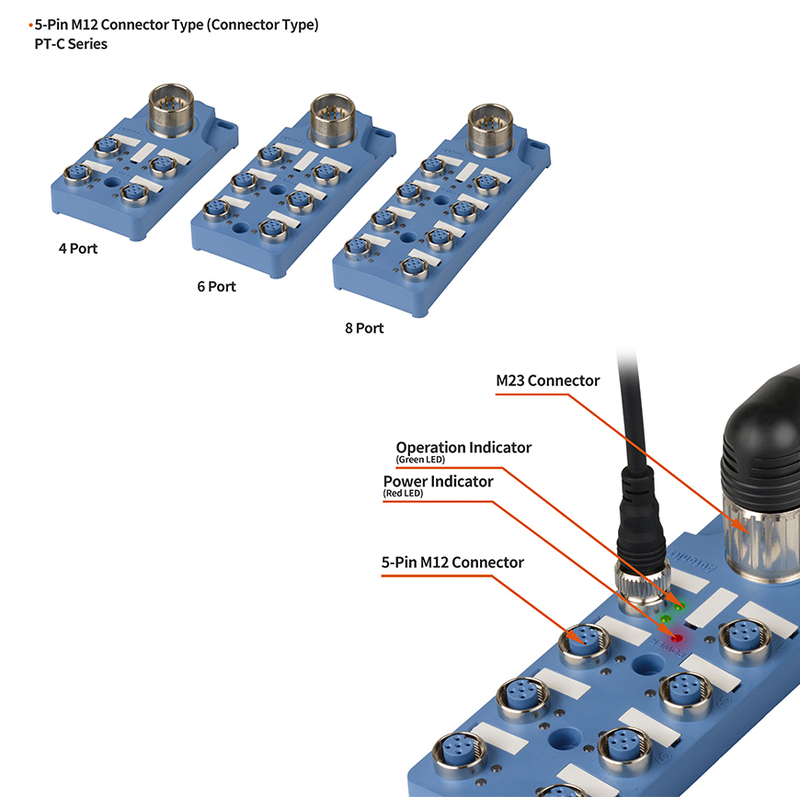 With 4, 6, and 8 ports, the distribution boxes can supply power and receive signals for sensors using M12 connectors. 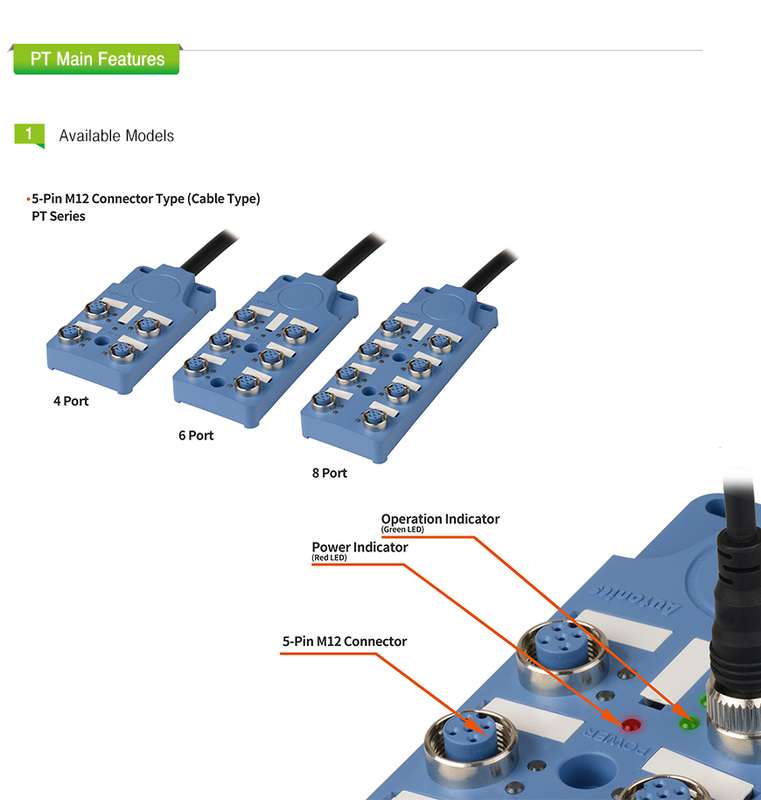 The PT series can simplify complicated wiring and ease maintenance work. 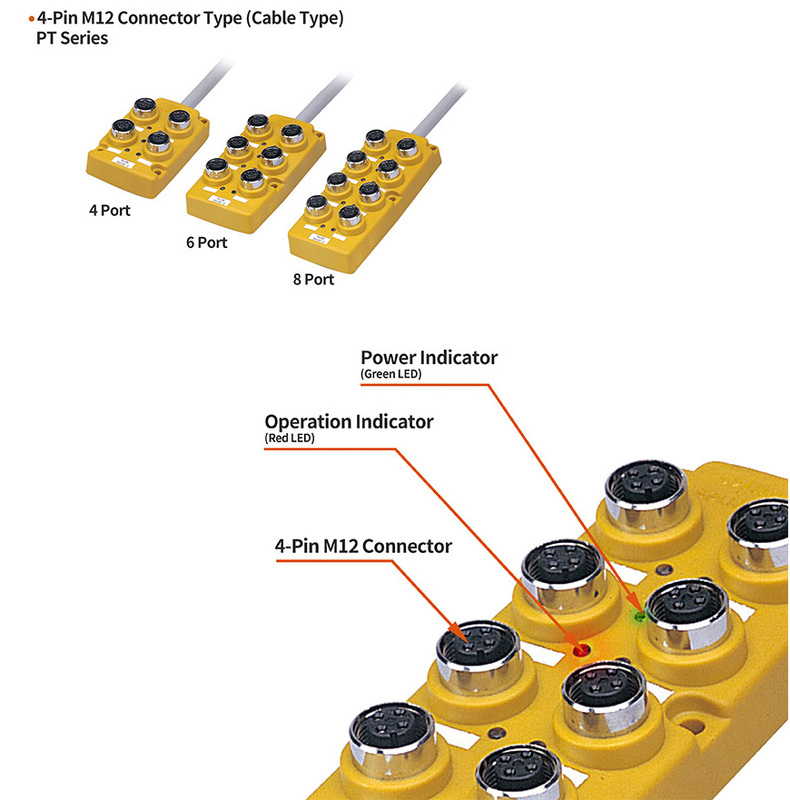 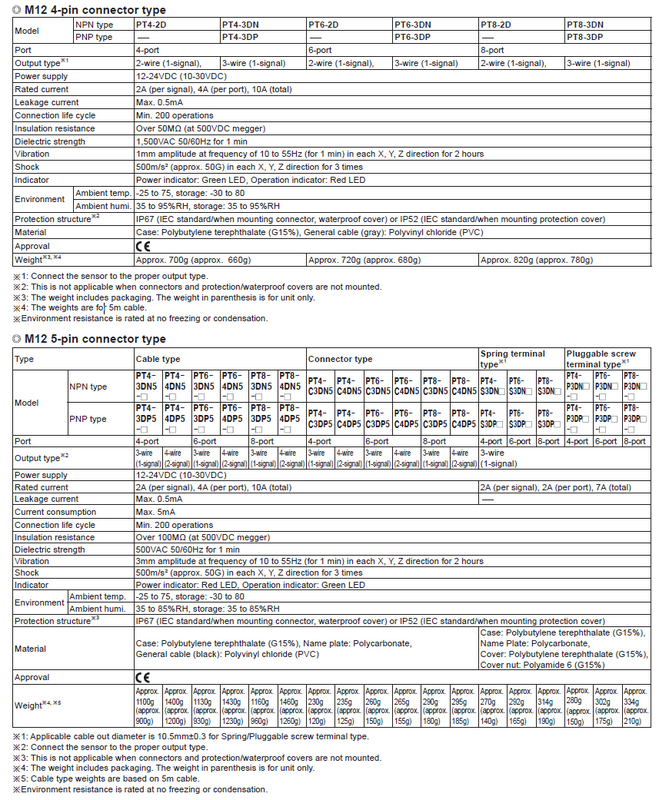 Operation status can be easily checked with the power indicator (green LED) and operation indicators (red LED). 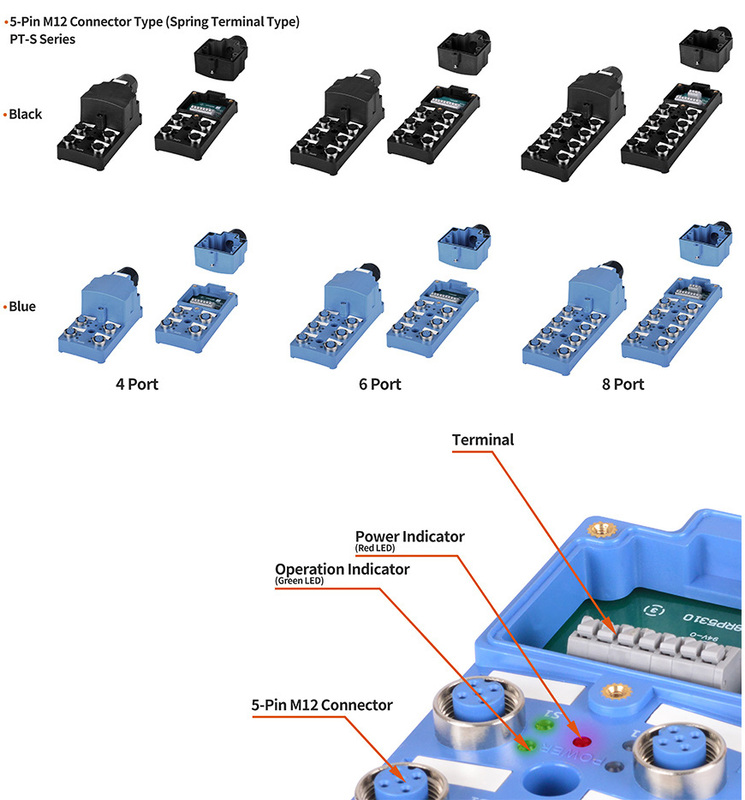 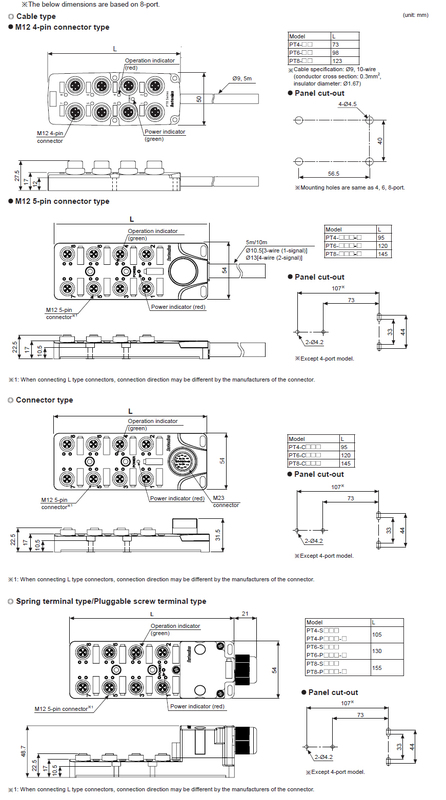 ※New 5-pin M12 connector spring terminal and plug-in terminal types (black/blue) have been added to the line-up.